Goal: To bring the best chocolate to the world through his domineering empire of cocoa and legion of Onka Wonkas. 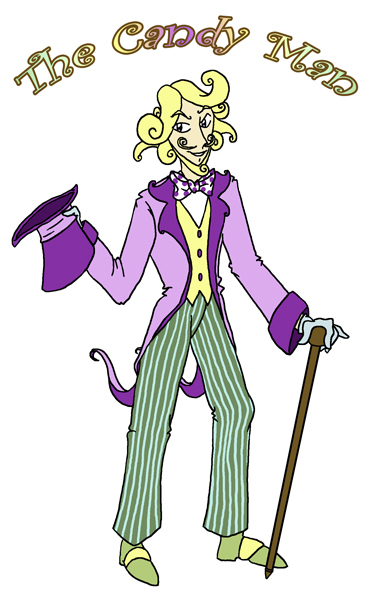 Abilities: By tricking King Midas to wish for everything he touches to turn to chocolate, the Candy Man was able to do a lot of experimenting with his precious chocolate. He even made a giant choco-mech.